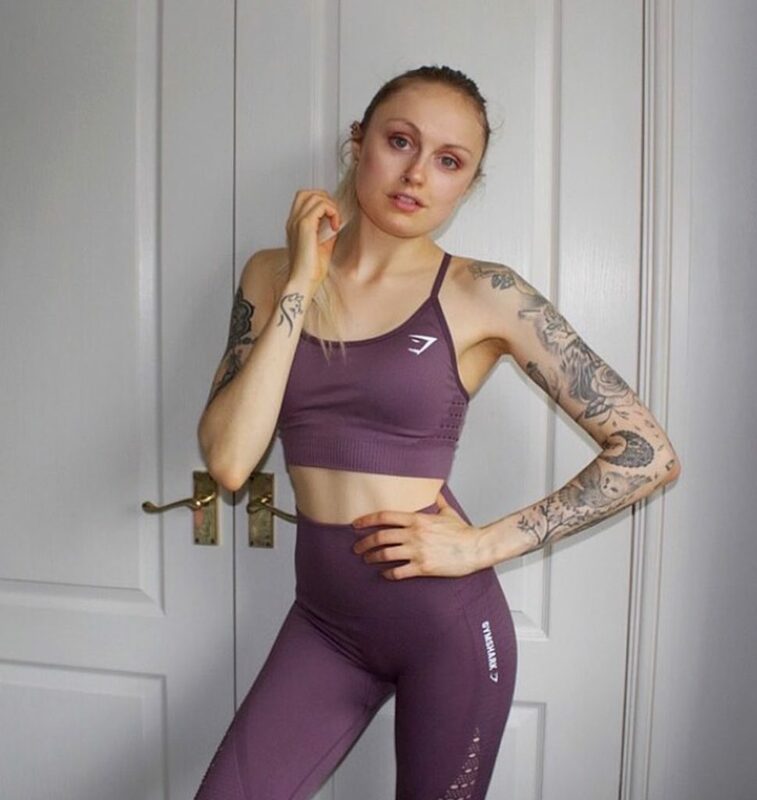 An anorexic student who plummeted to a shocking 5st, 7lb (77lb) has made a remarkable transformation to become a fit weight trainer after a gruelling seven-year struggle. Athina Crilley, 22, of Blackpool, Lancashire, suffered from the eating disorder since age 13, visiting the hospital five times as a result of her extreme dieting and exercise. After years of failed attempts to recover, the 5’4 biochemistry major, was enjoying university so much that it inspired her to come up with her own recovery method two years ago. At the height of the disorder, she was consuming a minuscule 400 calories a day and not eating her first meal until 7:00 p.m.
Rather than immediately jumping to 2,000 calories like she had been forced to do in treatment, Athina started to slowly add more calories each day until reaching the goal. With the new tactic, she was able to gain 3st, 3lb (44lb) over the course of a year. 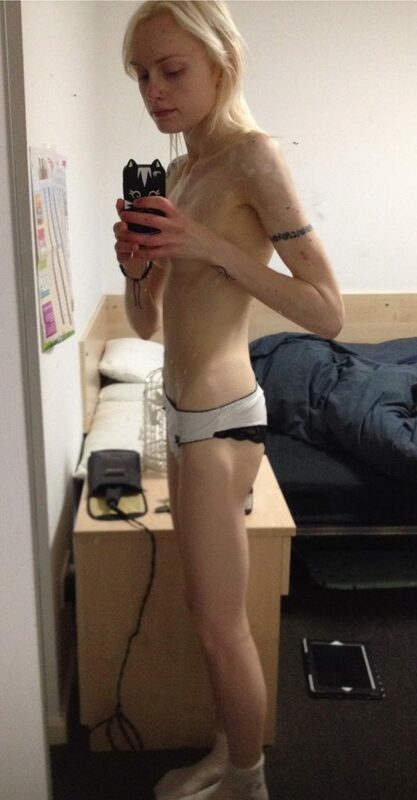 Six months later, she took up weight lifting to build back some of the muscle she lost to anorexia. Now the student is able to consumes a daily 2,000-calorie diet and goes to the gym five days a week to focus on becoming as strong as possible. Athina said: “I was only eating about 400 calories a day and I usually spent about two hours exercising. “I would get up at 7 a.m., go straight to the gym, go for a run, go to my uni lectures and then I finally ate when I got home at 7 p.m. Before then, nothing passed my lips, not even a drop of water. “It was affecting me in every way possible. Aside from the physical aspect, I was staying home a lot and isolating myself from everyone. Just getting up and going to class was difficult. “In the hospital, they basically force you to eat 2,000 calories and I always relapsed shortly after. My method when I finally recovered was instead getting up to that amount little by little over time. “I didn’t consciously count the calories I was adding. I found that I was just hungrier day by day and added small amounts each time I ate. “Eventually, I had to devote less and less time to my illness and recovery just became easier. “I’m in my last year of university and I’m spending most days in the gym. I wouldn’t have been able to do any of these things if I didn’t recover. Athina’s eating disorder began with the innocent desire to slim down after noticing she was overweight aged 13. The 9st, 7lb (133lb) teen wound up taking her weight loss and exercise routines to the extreme, dropping 3st (42lb) in five months before her parents admitted her to the hospital for the first time. The student said: “At first, I just wanted to lose a little weight, but then it started to escalate. She recovered several times during the next seven years, but would always find herself returning to her old habits after just a few months. Athina says the difference between her final recovery and the previous ones was that instead of relying on someone else to help her, she took it upon herself to find a way to recover. She said: “There were a lot of ups and downs. I would start my recovery, but then it would often only last few months. “When I was at my worst point, I felt like there was no way out of it, but now I’ve learned that recovery really is possible.